In the aṣṭāṇga method, the sequence is repeated over a long period of time, which means the practice takes on a quality of movement meditation. What helps to facilitate this, along with the ujjayi breath and dṛṣṭi (gazing points), is the vinyasa count, which means the entry into and exit out of the postures are significant. The postures leading up to bhujapīḍāsana have prepared the body for the pose and I think of bhujapīḍāsana as one of the three peak postures of the primary series (along with ssupta kūrmāsana and garbhapiṇḍāsana). Bhujapīḍāsana has fifteen vinyasas and is entered from downward dog on an inhale, on the seventh vinyasa (sapta.) From downward dog, ensure the hands are at least shoulder width apart, with fingers spread wide. Ensure the core is activated before you jump/step, by rounding the back as you would in cat pose. To step: step the feet outside the hands, then move the feet in front of the hands and towards each other, keep a bend in the elbows, but ensure they don’t splay out. Start by moving the big toes to touch, and if possible cross the right foot over the left, all the while keeping the pelvis lifting towards the ceiling, the curve in the spine, core activated, chin and chest forwards and up. To jump: inhale as you jump, and lead with the knees. Once the knees are outside the arms, grip the legs in and swiftly follow with the feet, crossing the ankles and bringing the feet quickly back and up towards the pelvis – this helps engage mūla bandha and stabilises you after jumping. To exit (nava, ninth vinyasa), one has to move through bakāsana and jump back into chaturanga. Inhale, come up slowly keeping the chest and chin forwards, and the pelvis/sacrum lifting up, this keeps the balance, your hands as fulcrum point. Exhale. Press down through the hands to get more lift in the back of the body, you need height in the hips to get into bakāsana without the feet touching the floor. To move the feet into bakāsana (daśa, tenth vinyasa), you need to be comfortable moving the weight forwards and back on your hands without losing balance. As you bring the legs and chest up the weight moves into the heels of the hands, then as you move the feet back the weight comes forwards more into the fingers and knuckles (and the body adjusts accordingly). Inhale, take legs into bakāsana, knees press into the armpits, feet together. Keep the shoulders and collarbones broad, and forwards of the wrists, the hips and head lifted, and core engaged. To jump back (ekādaśa, eleventh vinyasa) to catvāri (caturaṇga daṇḍāsana). You can start by taking one foot back at a time and progress to two feet together. Exhale, push the legs off the arms, and move your weight forwards so that the pelvis is high enough for the legs to go swiftly back without the knees touching the ground. 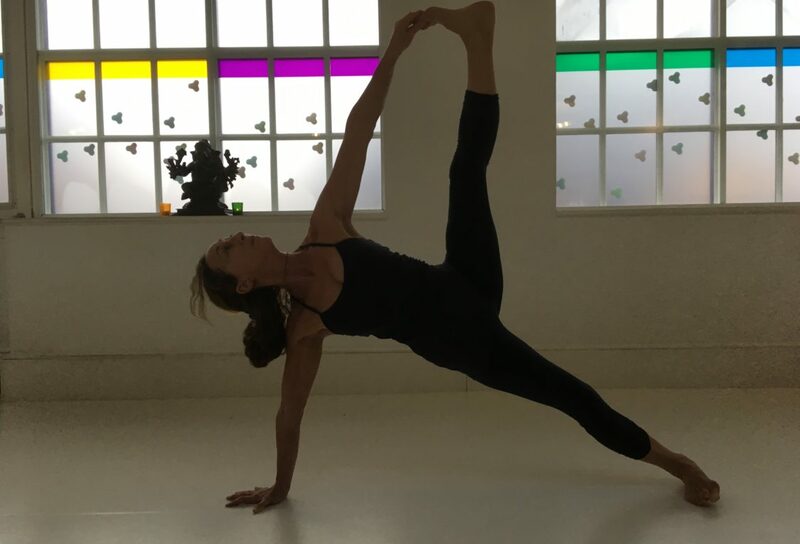 Sarai teaches ashtanga on Tuesdays at 1.30pm and Thursdays at 1.45pm in Soho, at 1.45pm on Fridays in Ealing and at 6.00pm on Wednesdays in Chelsea. She also teaches Restorative Yoga in Ealing at 12.30pm on Fridays. Did you know we offer over 25 different styles of yoga on our schedule? To showcase the variety, we’ll be highlighting different styles each month throughout the year – and we’re starting 2018 with ashtanga yoga. 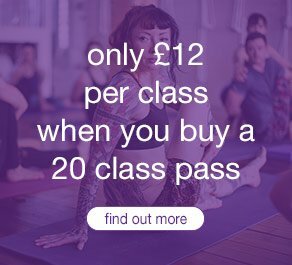 Get to know each style with exclusive content right here on our blog and with our special offers: this month you can bring a friend for free to any ashtanga class at triyoga.